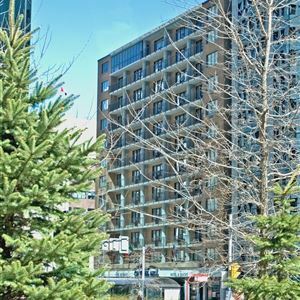 Property Location With a stay at Capital Hill Hotel and Suites in Ottawa (Downtown Ottawa), you'll be minutes from Sparks Street Mall and Parliament Hill. This hotel is within close proximity of National Arts Centre and Capital Information Kiosk. Rooms Make yourself at home in one of the 155 air-conditioned guestrooms. Complimentary wireless Internet access keeps you connected, and cable programming is available for your entertainment. Private bathrooms with shower/tub combinations feature complimentary toiletries and hair dryers. Conveniences include desks and separate sitting areas, as well as phones with free local calls. Amenities Take advantage of recreation opportunities such as a fitness center, or other amenities including complimentary wireless Internet access and concierge services. Dining You can enjoy a meal at a restaurant serving the guests of Capital Hill Hotel and Suites, or find a snack in a coffee shop/café. Business, Other Amenities Featured amenities include a 24-hour business center, complimentary newspapers in the lobby, and dry cleaning/laundry services. Self parking (subject to charges) is available onsite. 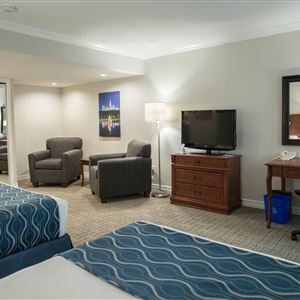 With a stay at Capital Hill Hotel and Suites in Ottawa (Downtown Ottawa), you'll be minutes from Sparks Street Mall and Parliament Hill. This hotel is within close proximity of National Arts Centre and Capital Information Kiosk. You can enjoy a meal at a restaurant serving the guests of Capital Hill Hotel and Suites, or find a snack in a coffee shop/café.